Welcome to the RF/Microwave Adapters section of the L3 Narda-MITEQ web site. 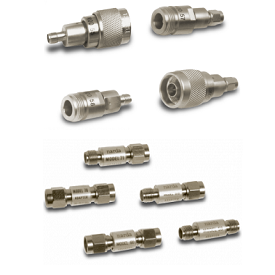 Our adapters include SMA (M/F) and 3.5mm (M/F) (DC to 18 GHz, DC to 26.5 GHz) as well as Type N (M/F) to SMA (M/F) (DC to 18 GHz). L3 Narda-MITEQ's products are manufactured to the highest standards and backed by excellent service and experience gained from supplying commercial and military applications for over 50 years. 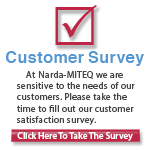 To view or download information on specific L3 Narda-MITEQ Models, please click on one of the sub-categories below.